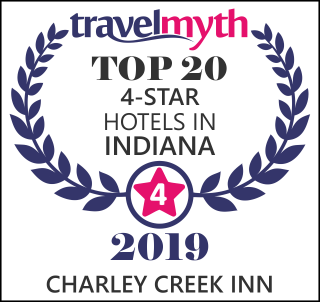 Wabash was already a flourishing railroad town when the Indiana Hotel, as Charley Creek Inn was originally known, was built in 1920. The Georgian Revival gem opened with great fanfare, quickly becoming a source of pride for the city. It thrived for years as Wabash’s central landmark. Eventually converting to an efficiency apartment building and falling into disrepair, the gracious hotel obtained a new lease on life in 2007, when local philanthropist and historic preservation aficionado Richard E. Ford, of the Ford Meter Box family, bought the building and renovated it to perfection. Renamed Charley Creek Inn—after a creek running through town, which was named after a Miami Indian chief—the boutique hotel reopened in 2010 and hasn’t looked back since. The Wabash landmark enchants guests the moment they step through its stately entrance foyer and into the chandeliered lobby. Vintage wallpaper and antique furnishings radiate elegance in the hotel’s two-story lobby, evoking a page straight out of The Great Gatsby. 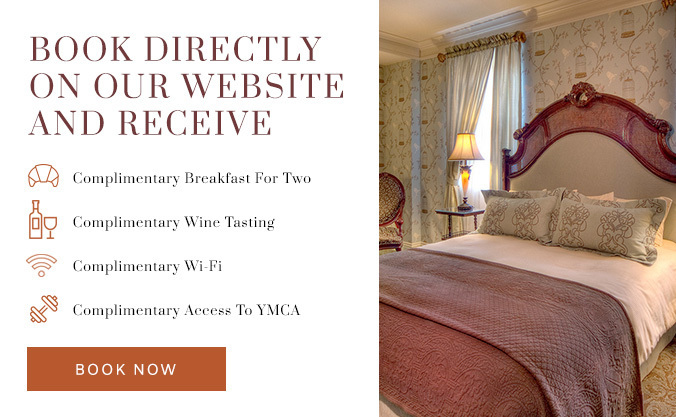 But there’s nothing old-fashioned about this timeless Georgian Revival beauty, whose original 80 rooms have been transformed into 30 individually decorated guest rooms and suites. A recent renovation assures the best of 21st-century amenities, including complimentary Wi-Fi, regionally acclaimed locally sourced upscale dining, a hopping piano bar featuring live performances (just ask the locals), artisan chocolate, Indiana-made ice cream, and devotion to luxury hotel must-haves, such as the finest bedding and thick towels. State-of-the-art event facilities are available for business meetings, weddings, religious retreats, conferences, and parties, while our downtown location near boutiques, wineries, museums, and parks makes us ideal for a weekend getaway. This hidden, small-town “gem” was awarded the coveted Cook Cup for Outstanding Restoration in 2011, the highest award for historic renovation in Indiana, and it has served as a catalyst for downtown renewal.